Late summer and early fall is the time to plant, divide, and transplant many different perennials, shrubs, and trees including spring flowering perennials. Peonies are a good example of a plant that prefers to be transplanted in autumn if it must happen at all. 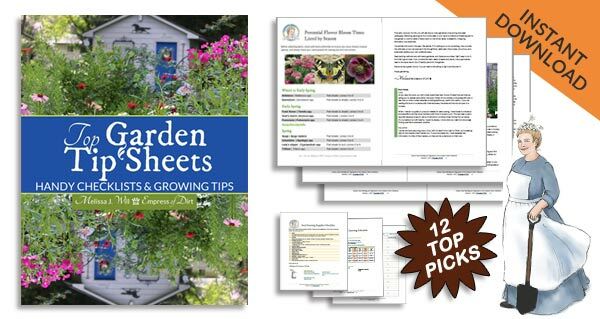 For more ideas, also see 25 Flower Seeds to Sow in Fall from the Empress of Dirt Fall Garden Guide. If you have a garden, you know most plants can be moved at any time, without calamity—if we follow through with proper care—but there is preferred timing based on blooming cycles. Spring bloomers can be divided and transplanted in fall, several weeks after blooming. 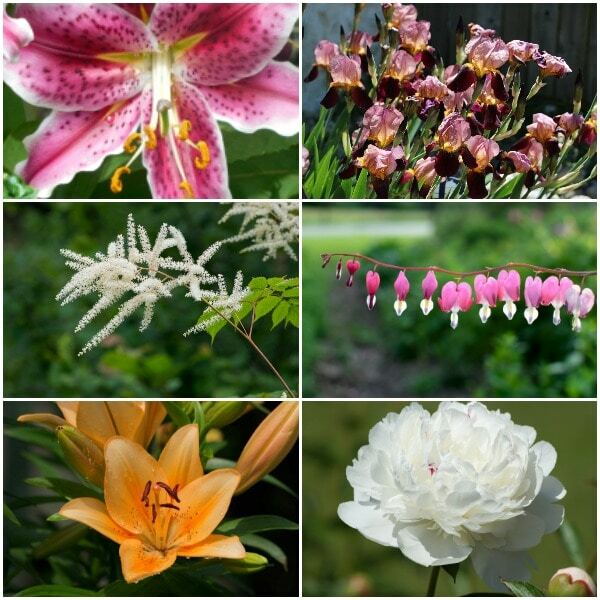 Late summer and fall bloomers can be divided and transplanted in early spring, before budding. The main goal is to leave plants alone while they are flowering and fruiting, and schedule moves or root divisions during their off-seasons. Should you move plants at other times, the Garden Police will probably just let you off with a warning, so don’t fear a pricey ticket. These tips are just to give your efforts an extra advantage. 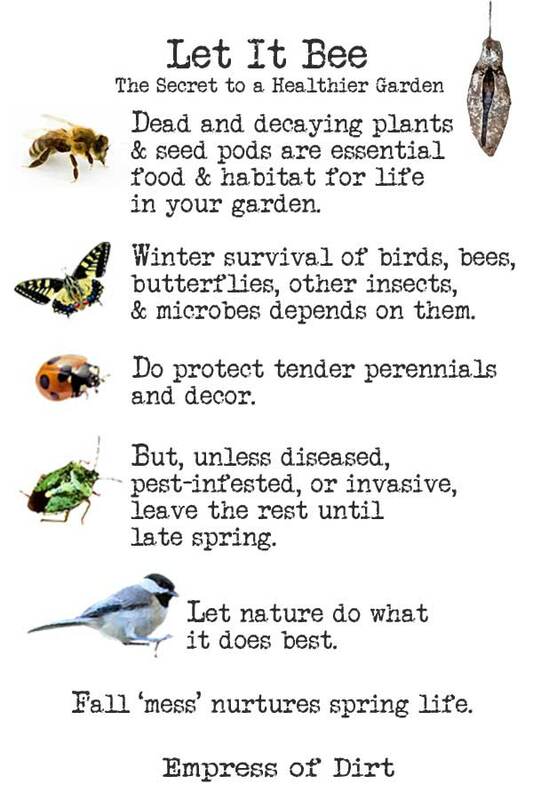 Here’s some reasons to shift plants around in your garden. When an otherwise good plant begins to under-perform. There could be many causes including depleted soil, competing plants, crowding, or large, mature roots that are ready for division. Sometimes a new location is the cure! An otherwise good plant is in the wrong location, not getting adequate light or shade, or proper soil conditions. Wind is also a culprit: some plants cannot tolerate windy conditions that strip them of their moisture. Aesthetics: gardening is an art form and composition matters! Moving plants can give a tired garden a whole new look. 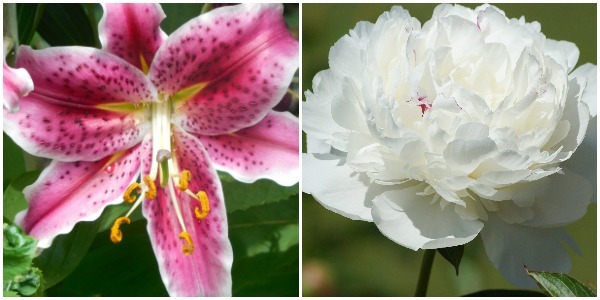 These are spring and early summer bloomers that can be divided and moved in fall. It is also possible to plant and transplant some trees and shrubs in the fall but you do have to allow enough time for the roots to get established. The larger the plant, the longer it takes. 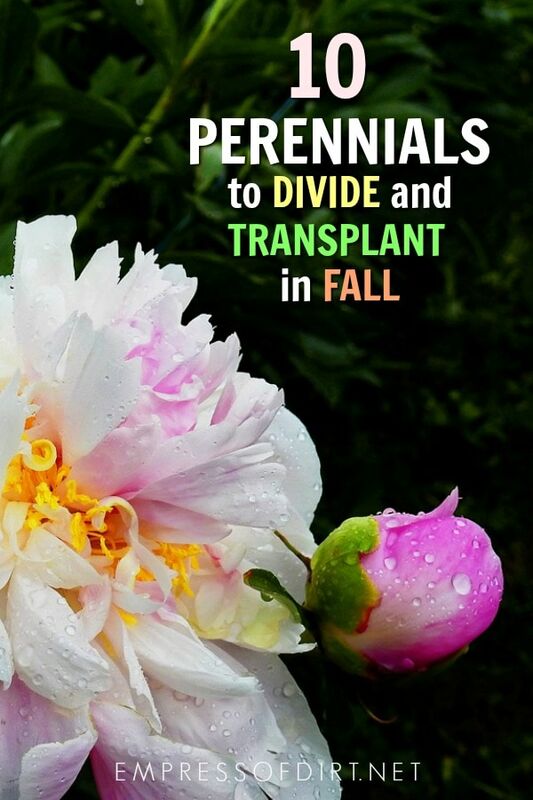 With all transplants, good watering (not too much, not too little) is essential during this time as dry soil is the number one cause of transplant failure. Optimum time for fall transplants is 4-6 weeks before first frost, which corresponds with the time when tree leaves begin to drop. Roots will take longer to establish in clay soil than loam or sand so allow for that as well. TIP: A quick Google search for ‘first frost date in YOUR AREA’ will tell you the average date. But do check your plant tags for specific instructions. While I am an Empress, I am not all-knowing and all-seeing in this universe. Site considerations include the needs of the plant and neighbouring plants, and aesthetics. Think about light (sun, shade, or part shade), soil conditions (pH, moisture, composition), expected size at maturity (width, height, scale, root depth and width), weather exposure. It’s all about the roots. The reason we wait until blooms have come and gone to move plants is to reduce shock to the plant and the amount of re-work the roots have to do after planting. Allow several weeks after flowering before relocating if possible. Any plant your normally prune or deadhead can be cut down before dividing or transplanting. It depends on the plant species, but, in general, I cut them down to about 6-8 inches tall. This frees up the roots to work on strengthening themselves rather than servicing the upper foliage. A good transplanting spade makes the job much easier. I have a Fiskars transplanting spade and it’s excellent (see it here on Amazon). Again, the aim is to get all the roots and cause minimal damage. Not ready to transplant? If you’ve got a soil ball, put it in a container and water it. If you’ve got bare roots, submerge in warm water and plant asap. If the plant has done well in its current soil, bring it along! There is interesting new research about plant roots and how they (essentially) sense and communicate within soil (fungi is also involved). Plants like familiar soil and transplants are most successful when minimal new soil is introduced around the roots. The exception would be, of course, if the previous soil was problematic or its a bare root transfer (see below). I notice that advice varies, but generally, in my humble opinion, if the plant has a soil root ball, dig a hole slightly bigger and just deep enough that the crown of the plant (area just above the roots) will be at the same level in relation to the soil. If the plant has bare roots, dig a hole wide enough to allow laying out of the roots in all directions. Again, be careful to maintain the right depth in the soil. Always gently compress the soil around the roots after planting to press out any air pockets that have formed. Tend to your babies! The next few weeks or months are critical for healthy root growth and development. Water Maintain even moisture without over— or underwatering. The finger test works great: push your finger 3-inches into the soil. Dry? Water. Damp? Wait. An inexpensive moisture meter works nicely too. Mulch Add a 2″ layer of mulch around the base of plants, careful to keep the plant stem mulch-free to allow air flow. I use fall leaves as mulch, which I first grind up with the weed wacker. Fertilizer Wait until spring. Fall is the time for dormancy and you do not want to encourage new growth just yet. Okay. Time to move some plants! Just found you. Beautiful scenery and ideas. Thank you for sharing. 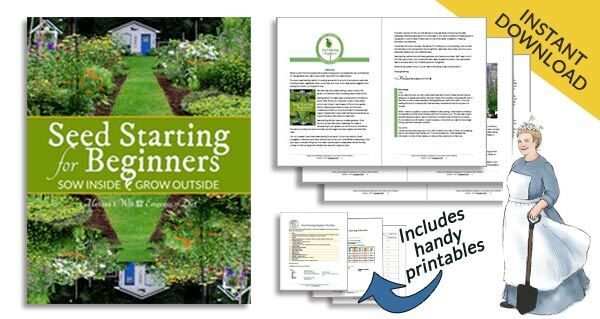 I can’t wait to get started reading and enjoying making projects and gardening. Just moved into our new home. I have many things cut out for myself. Looking forward to have some fun.